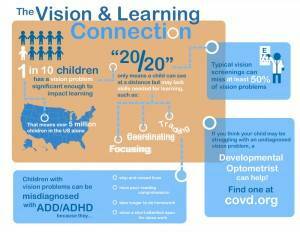 Why is vision important to learning? Clear eyesight is just one part of VISION – we also need the visual skills of tracking, teaming and focusing so we know both WHAT and WHERE we see things in space. This recording is of my son Cody’s eyes when he read a story as a second grader. Cody experienced double vision when he was reading, but had 20/20 eyesight. He lost his place, re-read lines of print, skipped rows and made mistakes of similarly looking words. What is it like to see with a vision problem? Can you make out 20/30? C Z D R V. Congratulations – you passed your school vision screening. Could you learn like this? I am a parent classroom volunteer at my children’s elementary school. 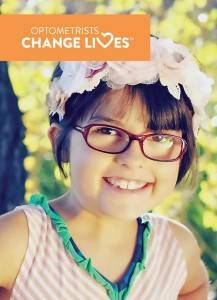 When I volunteered to help with the vision screening, I had a heartbreaking experience. I recommended that a student be referred for an eye examination – he had crossed-eyes (esotropia) and double vision. Before signing off on the recommendation, the district representative retested him and because he was able to read the 20/30 line on the eye chart 20 feet away when one eye was covered, she tore my vision examination recommendation in half. 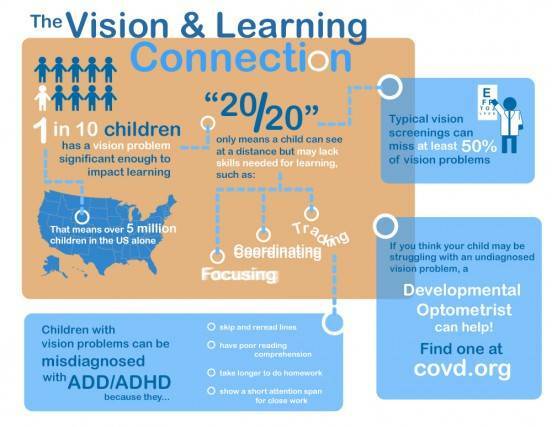 After this experience, I truly believe that all children should have eye examinations – especially those with any signs, symptoms or behaviors that may indicate a vision problem. However, this isn’t happening. 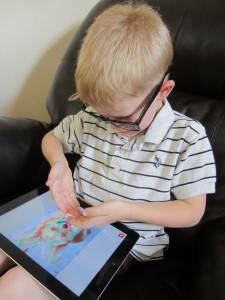 So, I thought – what can I do to improve vision testing with kids? 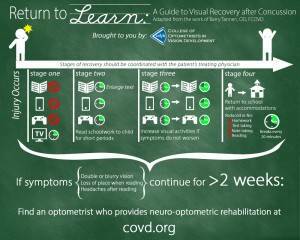 Infographic by the College of Optometrists in Vision Development. For more information, visit www.covd.org. How does Virtual Reality help detect Vision Problems? 3D testing allows assessment of the quality and accuracy of vision. It requires accurate tracking, teaming and focusing. Assessing depth perception aids in the ability to determine if the brain is processing the information from both eyes. Depth perception: the ability to identify both WHAT is it? and WHERE is it? Simple tests can be randomized so that students do not memorize the answers while waiting in line at the vision screening. 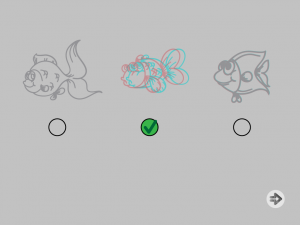 We also use many visual perceptual skills (for example, discrimination) and eye-hand coordination for the responses. 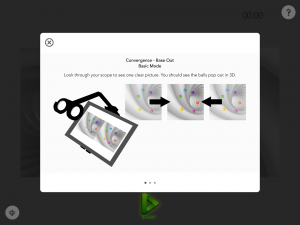 We can measure both accuracy and visual processing speed. The VIVID Study (Validation of iPad Vision Diagnostics) is currently underway. My mission is to develop a practical, affordable and efficient way to use Virtual Reality to detect visual issues! How does Virtual Reality help treat Vision Problems? 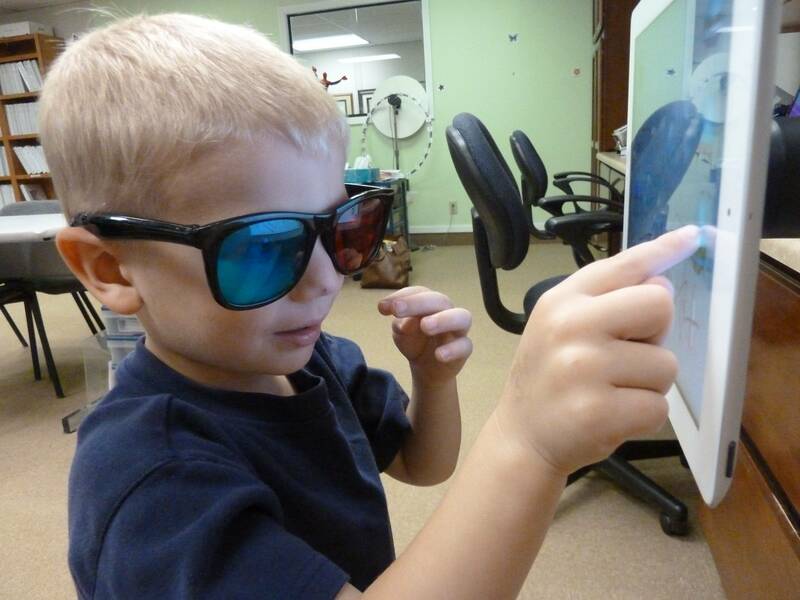 In the Boulder Valley Vision Therapy clinic, we use all types of 3D training, including virtual reality. 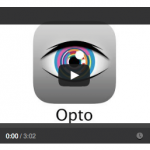 Learn more about OPTO, for use in clinic. 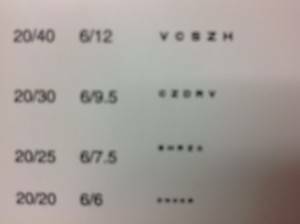 What should I do if I am concerned there might be a vision problem? 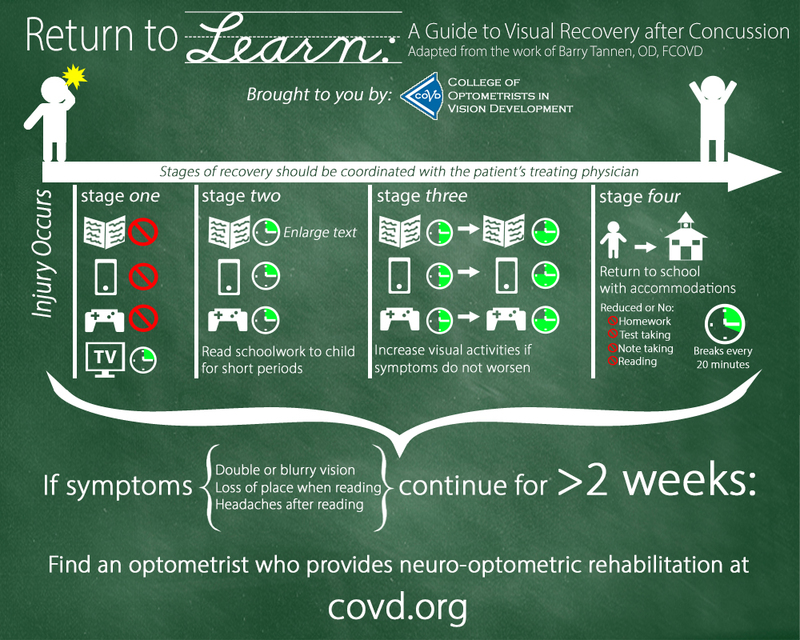 Please seek out testing with a vision specialist who looks at visual function – not just the structure of the eyes. To find a specialist in vision development and rehabilitation in your area, I recommend: The College of Optometrists in Vision Development: Locate a Doctor and the Neuro-Optometric Rehabilitation Association: Find a Doctor. Virtual Reality – good or bad for kids? Our reality is in 3D! That is why a normally developed visual system is designed to see spatially. We have highly visual brains – the neurology is amazing! Using Virtual Reality can actually increase understanding and learning. 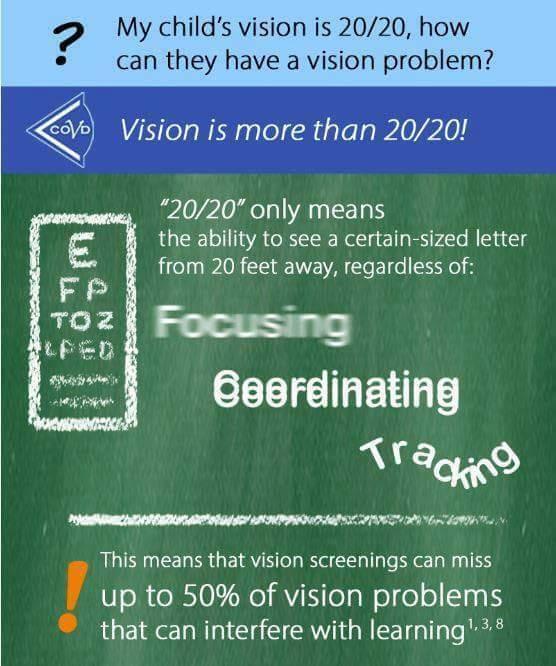 Having difficulty with 3D movies or games can be a sign of a vision problem. Learn more from the American Optometric Association: http://3deyehealth.org/. Are vision skills adequate or OPTIMAL? Do you know that your eyes move THREE times before you move? We need to switch from saying “hand-eye coordination” to “eye-hand” coordination. We only know where to move our hand because our eyes first TRACK towards the object, then the TEAM so that both eyes accurately aim at the object, and then we FOCUS to see the object clearly – all before we reach. 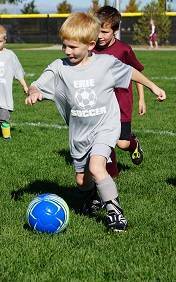 To have good skills at sports, we need good information from our visual system. We need to process this visual information FAST! We call this reaction time. Adequate or average vision is not enough to perform at our highest potential. We need OPTIMAL vision for peak performance. Learn more about Sports Vision.